TpT is having a sale on Thursday and Friday (February 27 & 28) to celebrate reaching 3 million members!!! This is the perfect time to get a deal on all of those teaching resources you have on your wish list. Everything in my store is 20% off PLUS by using the CODE TPT3, you will receive an additional discount making the total discount 28%. LOTS and LOTS of other shops will be having a sale also. Don't forget to use the CODE if you decide to shop! Do you need some fun resources to teach about Magnetic Energy to kids? This is a fun science topic that kids usually like a lot!!! Here's a collection of activities, experiments, ideas, puzzles, resources, videos, and other links to help you teach about MAGNETISM. Do you need some fun resources to teach about Sound Energy to kids? This is a fun science topic that kids usually like a lot!!! They have to make NOISE! I mean they have to make lots of "SOUNDS" to really investigate and explore this topic! Here's a collection of activities, experiments, ideas, puzzles, resources, videos, and other links to help you. Sound Activity: Can you identify the sound? Sound Activity: Does sound travel through solids? Slinky Demonstration: How does sound travel? Have you been making some fun Valentine's Day crafts with the kids? It's a great time to sneak in some fun and inexpensive math lessons. But don't call them math lessons!!! These are fun Valentine's Day crafts! Paper Plate Clocks are a great learning tool. Make a bunch of them for the different holidays and seasons. 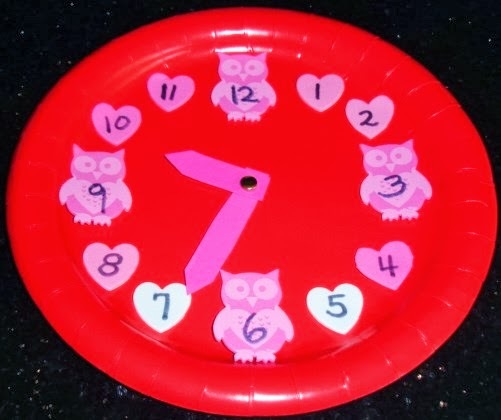 Adults can make and put on the clock hands and the kids can decorate the paper plates and stick on or write in the numbers. Are your students learning about 2D Shapes? Make some fun shape people with construction paper. For more information about making paper plate clocks click on the link below. For more information about making 2D Shape People click on the link below. This is a sponsored post which contains an affiliate link. Now that February is here, it's time to think about Valentine's Day! 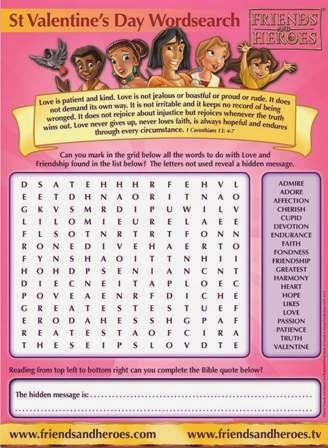 My sponsor, Friends and Heroes, which sells a Bible Curriculum for schools, churches, and homeschool families is offering some Free St.Valentine's Day resources. You can check out their offer by clicking on the picture above.